parametric midrange even allows you to dial in a fixed wah sound. Class A/Class AB switch: Class A mode delivers second order harmonic rich tone with more saturation and compression like an AC30, Princeton, Champ, Deluxe, Supro or other cathode-biased tube amps. 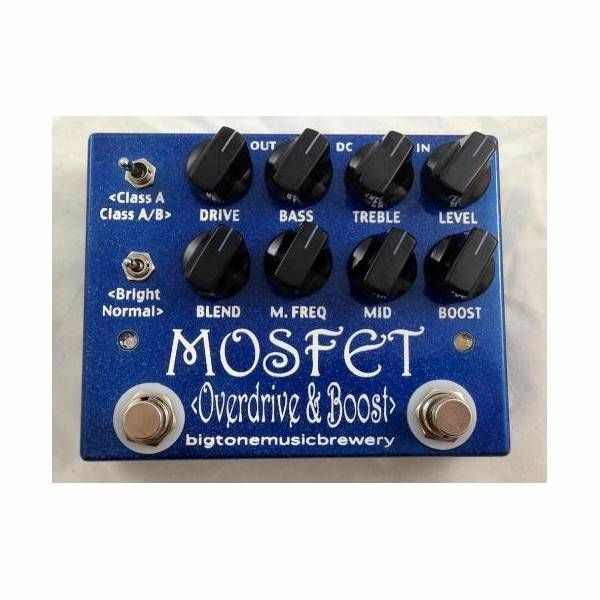 Class AB mode produces a more open and crunchier overdrive like the sound of a cranked Marshall, Bassman, Hiwatt, Orange or other fixed-bias tube amps. Bright/Normal switch: Just like selecting between the two inputs on most of the old sought-after amps. It's pretty obvious why this is useful to six string guitar players, but maybe not as obvious to bass players. It may seem counterintuitive, but most "bass effects" actually CUT low frequencies from the wet signal when there is a wet/dry blend. It's like that on bass flangers, choruses, and phasers. The human ear needs a greater juxtaposition between the wet and dry tones to differentiate them in the lower frequencies. It's no different with overdrive. Blend knob: This knob can go from 100% clean, unaffected, dry signal to 100% wet overdrive signal and all points in between. And absolute necessity for bass players who want to retain all their low end and punch or guitar players who are looking for that elusive overdrive that has absolutely no fizz or fuzz, just extra gain that continues to sing and sustain as their natural guitar tone decays. Boost channel: This isn't like the boost channel on other OD/Boost combos where the boost merely attenuates the OD channel when it's off. 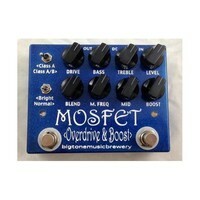 This is a completely independent MOSFET boost that can be turned on even when the OD channel is in bypass.